This meditation is a technique to connect with your higher power, and your "soul mission". Practise it as often as you like, or feel the need to. Refer to the tips on the Meditation page, for suggestions. Sit quietly, breathing rhythmically and allow your entire body to relax. Focus on your heart and breathe into it, imagining it opening and becoming warm and soft. be aware of your guardian angel behind you, enfolding you in his wings and holding you lovingly. Your guardian angel has moved and is now standing in front of you, holding your hands and looking into your eyes. He is saying to you “remember who you truly are, I love you. There is nothing that you can do, say or think that can stop me from loving you'. Your guardian angel is now walking with you through beautiful countryside to a bridge. If the answer is 'no' sit quietly with your guardian angel and wait. The angel will be helping you to open your heart. If the answer is 'yes' cross the bridge. As you reach the other side, many beautiful white angels greet you and suround you. You find yourself walking or floating in their midst along a path of light to a glorious temple. This is the residence of the mighty Archangel Chamuel. You are welcomed lovingly and conducted to the innermost sanctum of the temple. Here you may stand in front of Archangel Chamuel and look into his eyes. He will arrange the frequency emanating from him to one that you can bear. He too says "Remember who you truly are, I love you. There is nothing that you can do, say or think that will stop me from loving you". 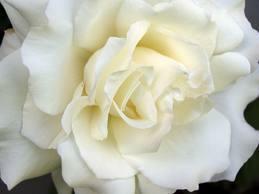 As your heart opens wider he places a pure white rose in your heart. The pure white angels surround you again and waft you from Archangel Chamuels presence. they conduct you back along the path to the bridge. Notice how you feel as you cross it again. Your guardian angel greets you and smiles as you return to your starting place. NB Acknowledgement of author unknown. Meditation provided me to from a lady called Melanie about ten years ago.